Muscled cows originated from the 19th century in Belgium. 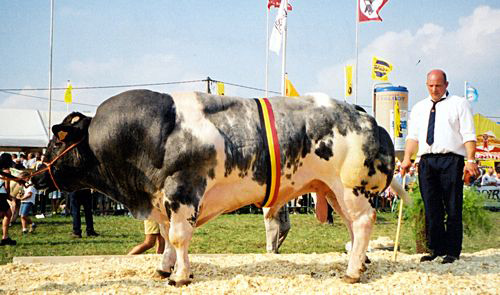 Were obtained from crosses between local cattle with British cows on a farm, the Belgian Blue. 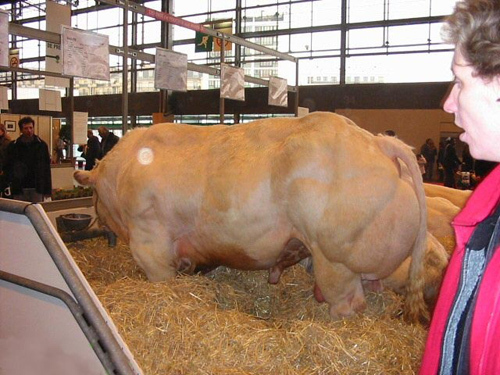 This cow has a size and large muscle mass, so that is sometimes called "double muscling.". This is a natural mutation of the gene for myostatin, a protein that regulates muscle growth. 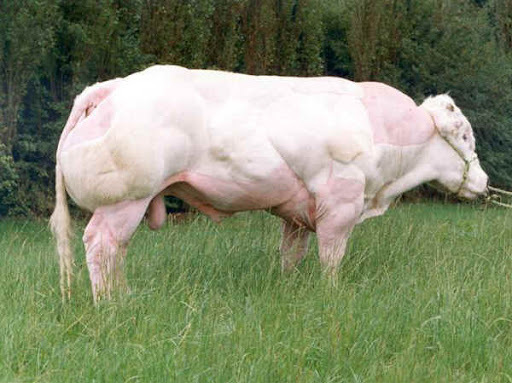 This mutation results accelerating growth in beef muscle.